Sign up to Dry July Australia 2018 and raise funds for Dry July Foundation. •	Eating Well with Head and Neck Cancer Animations, to educate people through listening and watching, not through reading or writing. This is particularly relevant for head and neck cancer with incidence rates 58% higher in low socioeconomic areas where literacy levels are poor compared to high socioeconomic areas. •	National Patient Transport Program to continue providing transport to and from medical appointments. The service currently drives more than one million kilometres each year to ensure people get the medicines they need to beat their blood cancer. •	Expansion of Myeloma Australia's Patient Support Group Program to provide information, support and opportunities for the myeloma community. 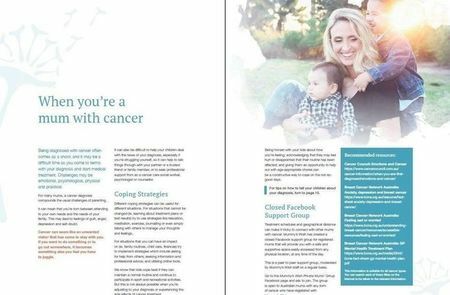 •	Younger Women's Project: a new program for younger women to fill the gap in support services available to Australian women under 50 who are diagnosed with ovarian cancer. 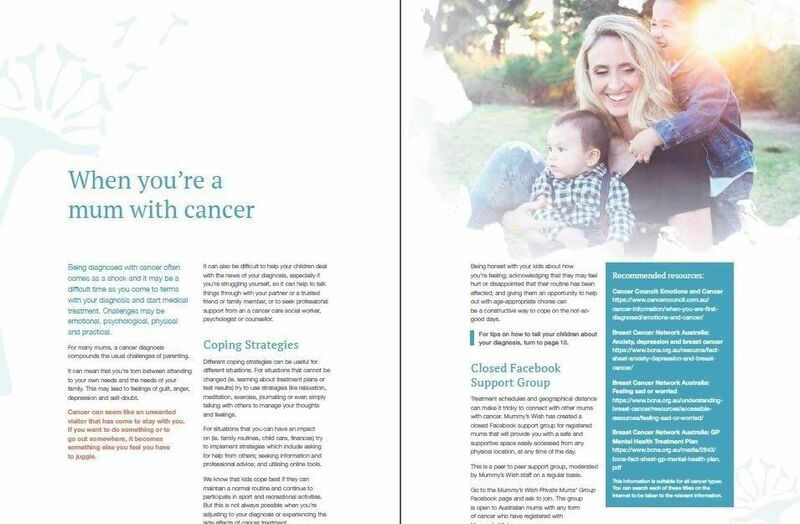 •	Redkite’s Education and Career Support Program: professional and experienced consultants who empower young adults with cancer to understand their skills and strengths, reconnect with their education and career pathways and develop plans so they can build their best possible futures after cancer. •	Retreats for breast cancer patients and their families, to provide some relief to those who are dealing with the challenges a cancer diagnosis brings, including significant social, emotional, psychological, physical and practical challenges. •	Developing and furnishing the family room at the new wellness centre at Flinders Centre for Innovation in Cancer (FCIC), to provide a dedicated space for the entire family to be a part of diagnosis, treatment and other stages of living with cancer. •	Improving patient wellbeing on Ward 5SF at Frankston Hospital through therapeutic massage, to reduce symptoms of cancer treatment such as pain, nausea, anxiety, depression and fatigue. The Dry July Foundation is proud to announce a partnership with five of Australia’s biggest cancer charities. The partnerships, with cancer charities based across the country, strengthen Dry July’s core purpose of supporting people affected by cancer. The beneficiaries will receive donations from the fundraising activities of Dry July participants. Since 2008, Dry July has raised over $30 million in the last 10 years and has helped fund over 1,000 projects, including 198 facility upgrades, 179 therapy and wellness programs, wig libraries and chemotherapy scalp cooling machines. In 2018, the new partners are The Leukaemia Foundation and Prostate Cancer Foundation of Australia, which join Look Good Feel Better, Cancer Council NSW and Cancer Council WA as new major benefactors. Dry July participants can sign up to the challenge and select one of these charities as the main recipient of their Dry July fundraising. •	Leukaemia Foundation - helping more than 750 families from regional Australia by providing free accommodation in capital cities, for people living with blood cancer during their treatment. Dry July funding will ensure the Leukaemia Foundation accommodation facilities across the country are comfortable and a homely place for patients, while also providing all the specialised care they need. •	Look Good Feel Better - funding workshops dedicated to teaching cancer patients how to manage the appearance-related side-effects caused by cancer treatment, empowering them to face their cancer with confidence. Dry July funding supports the delivery of 300 patient workshops nationally. •	Prostate Cancer Foundation of Australia - supporting Australian men with life changing assistance from a Prostate Cancer Specialist Nurse, who are there to help patients with any health and emotional challenges during (and after) their treatment. Dry July funding will mean that more men and their families get expert nursing support on their prostate cancer journey. •	Cancer Council NSW – Dry July will contribute towards the purchase and installation of new air conditioning units and sun shades at the Lilier Lodge patient accommodation in Wagga Wagga. Lilier Lodge provided over 6000 nights of accommodation for cancer patients in the local community in the past year, and hot summers and cool winters mean the air con units are well-loved and in need of an upgrade. •	Cancer Council WA - Dry July funding will go towards the 13 11 20 support line service for the WA community. A confidential cancer information and support phone line run by experienced Cancer Nurses connecting WA to resources and services. What do I do with my life? 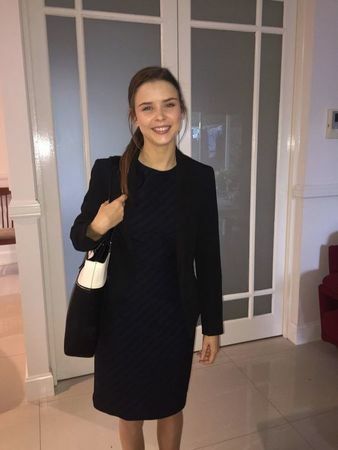 It’s a question Maddy, 20 was forced to confront in a big way after being diagnosed with an aggressive bone cancer called metastis osteosarcoma that started in her leg and had spread to her lungs. Back then, Maddy was a promising gymnast, but her cancer treatment involved removal of her shinbone, knee joint and part of her thighbone. The cruellest blow was that Maddy couldn’t return to the gymnastics mat – her place to shine. Like so many cancer survivors, Maddy now had to set a new direction for her future, but she had missed 18 months of school. With support from Redkite’s Education and Career Consultants, she was able to access tutoring to catch up on her subjects, and was soon back on track with her peers. “Being a teenager and getting cancer is very tough. Redkite was amazing in helping out,” she says. It wasn’t long before Maddy had an ambitious new plan to become an international corporate lawyer. With passion and dogged determination, she aced her exams and got into law at university. “My goal is to work with a big firm with lots of global connections,” she says. Maddy also received a Redkite scholarship to help cover her university costs, so that she could focus all her energy on her studies. Six years since her diagnosis, Maddy is cancer free today. Her family is so proud of the way she has somersaulted over the hurdles cancer brought. Maddy has just one year left before she graduates and is close to her dream of being a hot shot lawyer! Life can throw anyone a curve ball as Hugh, 17, and his family discovered when he was diagnosed with bone cancer. Yet in little over a year, Hugh was back on the path to achieving his dreams – and then some. Hugh was happily juggling school with a busy competitive cricket schedule. Still, Lee sent Hugh to see his physiotherapist Ben. It was so fortunate she did. Ben suspected something serious. He immediately ordered an ultrasound. Soon after, Hugh was diagnosed with osteosarcoma, a cancerous tumour in his left fibula (knee bone). His family was in shock. Just 15 days later, Hugh began nine months of life-saving treatment., Hugh was told he could lose his left leg, and with it potentially his dreams of cricket success. Hugh was determined to stay positive and continued to go to school when he was well enough during chemotherapy. He even competed in his school athletics carnival, his mate huffing and puffing as he pushed Hugh’s wheelchair in the 800 metre sprint. Not surprisingly, cricket remained Hugh’s priority. The support of Hugh’s family was vital to cope with the ups and downs of cancer treatment. And Redkite’s help made sure his parents and big brother Finn could be there for Hugh from the moment he entered hospital. It began when Hugh received the signature Redkite Red Bag full of essentials to make the hospital stay more comfortable for them. And like many parents of young people receiving cancer treatment, Hugh’s mum Lee had to stop working to care for him. Redkite also provided vital financial support during this time to help cover bills, groceries and petrol. This really took the pressure off. Just before Christmas, after nine months of treatment, Hugh received momentous news - his body showed no evidence of cancer. It was at this point that Redkite Education and Career Specialists facilitated tutoring for Hugh, so he could catch up on missed education and keep pace with his peers. Hugh also received a Dare to Dream Scholarship from Redkite, to use to pursue his cricket career. Recently, Hugh was offered the chance to play the 2018 cricket season with an English club – a life-changing opportunity. He is well on the way to achieving his dreams. Alison is one of our dedicated Mummy’s Wish support coordinators. She used to be a nurse and decided to take on a coordinator role because it felt like such a real and direct way of helping people who need it right now. Alison says that many of the mums that she works with simply don’t know how to ask for help and are overwhelmed by the decisions that they have to make in a short space of time. “I don't think people know where to start looking for help – or how. Then they speak to a coordinator here, and they know we get it. We understand. We're mums ourselves and we understand some of the challenges that they're facing at the moment - some of the practical, difficult things that they're trying to sort out and deal with. On Christmas Eve in 2014, Renee was in hospital after an emergency appendectomy, waiting for her surgeon to discharge her. When the doctor walked into the room she and her husband knew immediately from his face that the news was going to be hard to hear. On Christmas day, Renee had to tell her family that she had a very rare form of cancer in her appendix and that she needed to be re-admitted before the day was finished. Renee’s children were aged four, six and eight years old. The year ahead for them was going to be confusing and upsetting. Not only was their mummy having to spend lots of time in hospital, when she was home she was too exhausted and nauseous to play with them like before. Renee told me that she was very worried about her kids. She asked what support there was to help them process what was happening to their mum. She was given a pamphlet that guided her on how to tell her kids – but nothing practical. I am so proud to tell you that one of my team here at Mummy’s Wish was able to step in. 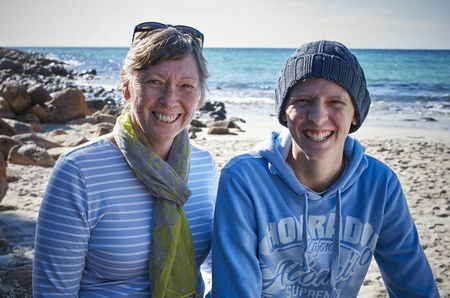 Renee told me that she was on her third round of chemo when she spoke with Kylie, a Mummy’s Wish support coordinator. Not only did Mummy’s Wish provide voice recordable Comfort Bears for her children to cuddle whilst she was in hospital, we also provided access to information, resources and other services that were able to help reduce the burden during Renee’s 18 month long battle with cancer. “The bears really helped my kids. I just did a simple message like, ‘it's mummy here I'm in hospital right now, but I'll be home soon, love you!’”. And even though she was still very unwell the following Christmas, I am delighted to tell you that here in 2018 she is no longer being supported by Mummy’s Wish as she is living cancer free. Renee is now one of our much loved volunteers – she works tirelessly because she knows first hand how invaluable support is for mums with cancer. "Obviously the thing I want most is a cure for cancer. I am currently cancer free but I know that there are many mums who are facing a more uncertain future. Aside from that, I wish we (Mummy’s Wish) could help every single mum that needs us."